Welcome to our Curtis, MI Fishing page where we give you vital information on the following Manistique lakes including: South Manistique Lake, Big Manistique Lake, Round Lake, Milakokia Lake, and Millecoquins Lakes. The South Manistique Lake has a lot to offer fishermen. South Manistique lake has walleye, croppies, perch, bluegill, bass, bull head, cat fish, pike and musky, along with some suckers in the spring. The average depth is 15' to 18' with a total range from 4' to 18'. Fishermen like this lake because it is small enough to feel confident to catch some great fish. There are a lot of great resorts around this lake. This is the largest of all the Manistique Lakes. Fishermen catch walleye, bass, pike, perch, an occassional bluegill and suckers in the spring. Big Manistique Lake tends to bring in the bigger fish and draws a lot of fishermen to the area - especially sports fishermen. Both the Big Manistique Lake and South Manisitque Lake hold annual fishing contests - great family fun for all ages. Surprisingly there are some nice fish to be caught out of Round Lake (North Lake). 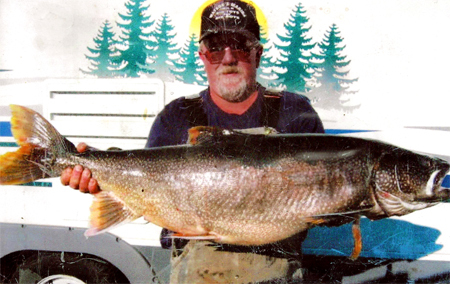 Fishermen can expect walleye, pike, perch, blue gill, bass, along with an occassional lake trout. Round Lake also has the Luce County Park, which makes this lake perfect for the family. Please be advised that Round Lake is VERY deep with some areas reaching 68'. South Manistique Lake and Big Manistque Lake have several Public launches. Portage Angler's Pier is located by Wolf Bay on South Manisitque Lake. For $20.00 you can get your name inscribed on the pier. Please click here for contact information for the Curtis Chamber - please let them know you are interested in getting your name inscribed on the pier. Fishermen can expect walleye, pike and perch. This lake is shallow and weedy. Much like the Milakokia, it is shallow and weedy. Fishermen can expect walleye, pike, perch and bass. Please visit Mick's Bait Shop facebook page for her daily updated report. Here you will find detailed day by day information regarding all of the Manistique Lakes. We look forward to seeing you here in Curtis!